1. 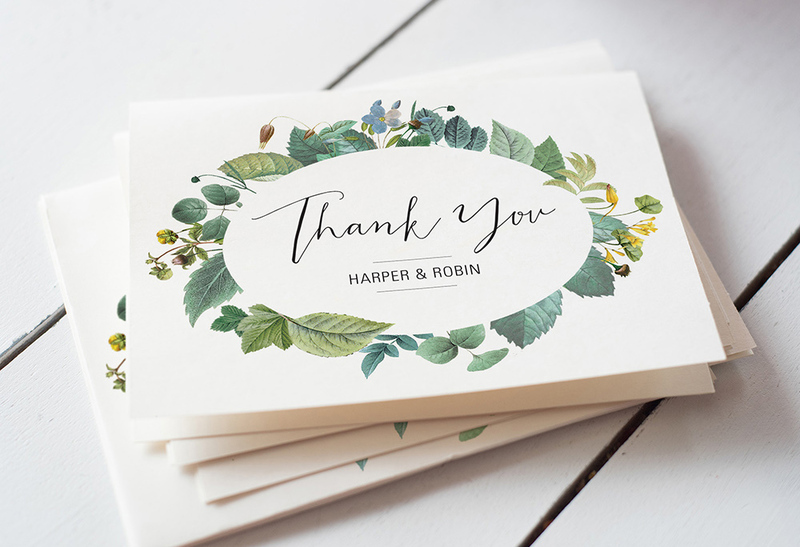 Purchase your thank you note stationery and postage as soon as you register for gifts. That way you’ll have all of your supplies ready to go when gifts start rolling in. Or, what we typically recommend to our client’s is that they bundle their thank you notes into the invitation order. This saves time and allows you to carry out your wedding theme. 2. Enlist your partner’s help. With both of you, the task will get done twice as fast. 3. Write thank you notes immediately when you get a gift. That way you won’t forget who gave you what and the task of writing the notes won’t pile up. If you can’t do it right away, keep a list using a template from Google Docs or Microsoft Office. 4. The note doesn’t have to be long. If the gift comes prior to the wedding, thank the sender for the thoughtful item by name and tell him or her that you are looking forward to celebrating together. If the note is post-wedding, thank the gift giver for the thoughtful gift by name and thank them for celebrating with you. Your guests will appreciate a personal acknowledgement of their gift to you and you will save the money you would have spent to do a task that really should be done by you.